Renault Carte Noire Extra Old Limited Edition 180 Years. Buy Online. Tasting notes Carte Noire XO. Aromas and flavors: Liquorice, hazelnut, marmalade and apple pie. Toasted wood and grey pepper. Powerful with ripe fruit notes, raisin, chocolate and vegetal hint. Texture and finish: Extra round, well-structured, wood and prunes, full-bodied, slightly spicy (cinnamon). 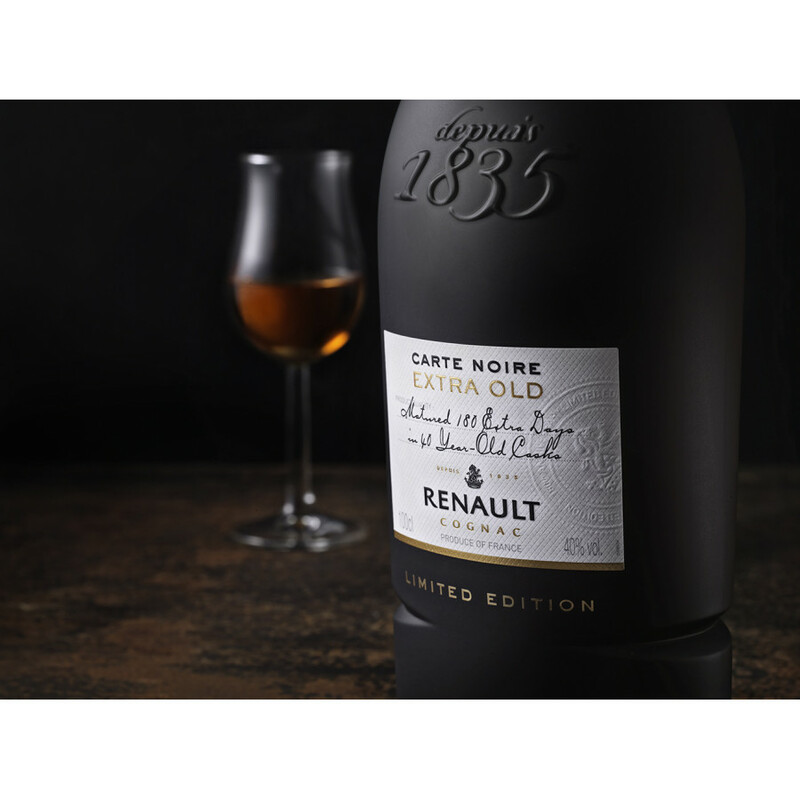 To celebrate the 180th anniversary of Renault Cognac House, a limited batch of Carte Noire Extra Old is matured for an extra period of 180 days in over 40-year-old, handmade Limousine oak casks. 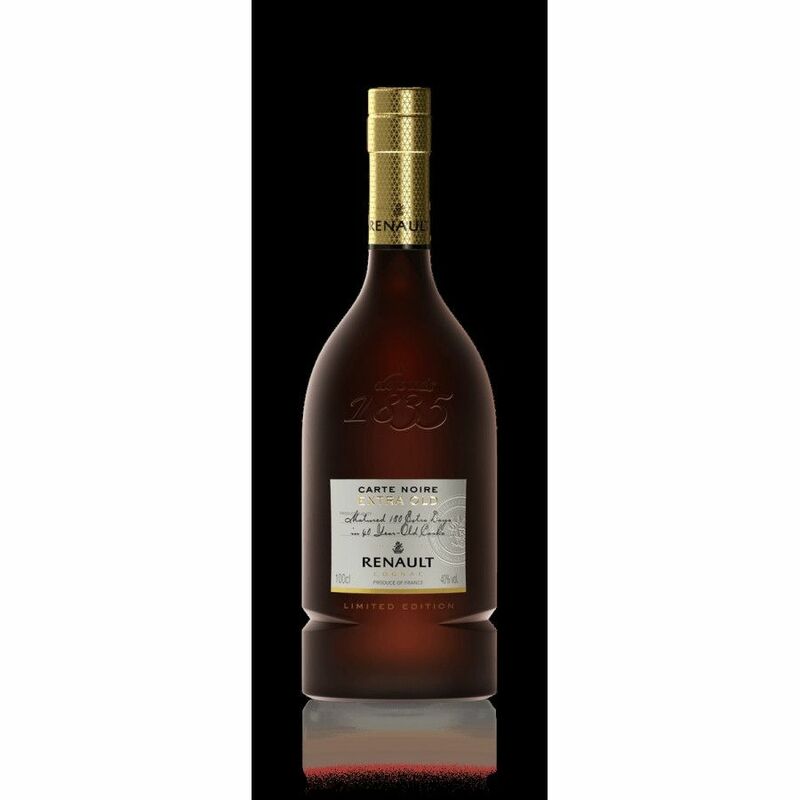 This unique ageing process and the best crus available impart this exclusive cognac with an extra round and smooth taste and long finish.